The Scan Group, Inc. Digital Asset Creation - The Scan Group, Inc. The Scan Group’s creative team is positioned to deliver best-in-class content that ensures your brand’s image and marketing communication is effectively represented. Whether it’s mobile optimized imagery, SEO-friendly product descriptions or robust enhanced content, our team will ensure your brand is covered. We are experts in creating digital assets that are meant specifically for eCommerce and will set your brand apart from the competition. And, shoppers will be immersed in rich content that will ultimately lead to a sales conversion. Our nationally-recognized designers will create content that stays true to every detail of your brand. With so much online shopping taking place using mobile devices these days, it’s imperative that brands include in their digital strategy an approach for optimized content. At times, your brand may be challenged with communicating vital information to shoppers especially on a small screen such as a mobile phone. Mobile-Ready content addresses this issue. It quickly conveys the most important marketing attributes of the package – Brand, Product Variant and Size/Quantity. 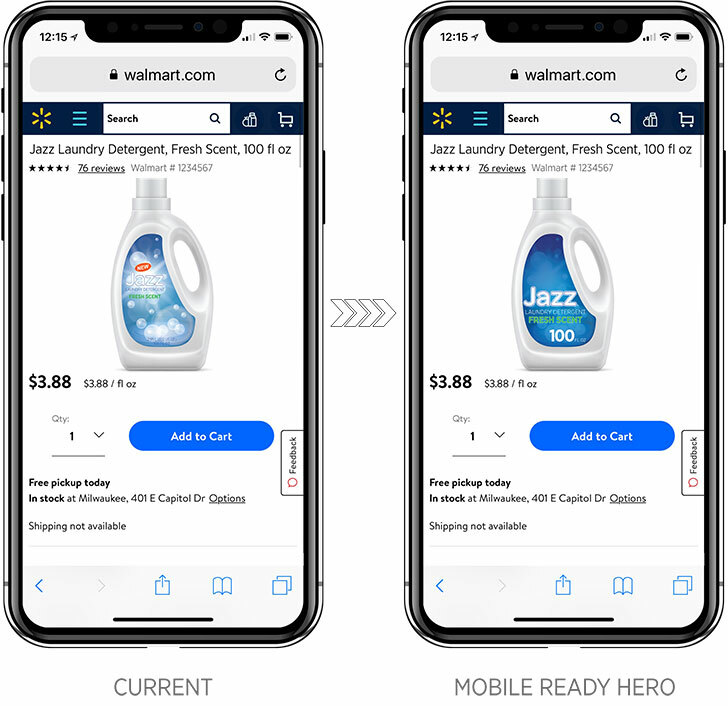 Mobile-Ready hero images are quickly becoming the norm as the main image shown to the shopper. Online retailers around the world continue to embrace this type of digital asset knowing that the payoffs are having less frustrated shoppers and increased conversion rates. The Scan Group has been involved since the inception of these effective assets and continues to develop best-in-class offerings to our customers and their powerhouse brands. Overcoming a shopper’s online purchase hesitation is a challenge for any brand. Enhanced content addresses this while also immersing the shopper with robust information about the brand and other products associated to it. This is an area of the product detail page that allows the brand to further expand upon differentiated benefits and features, speak about the brand story, and easily cross-sell with other brand products. Many online retailers offer the ability to view enhanced content including Amazon, Walmart and Target. Educating shoppers on why your brand’s product is the right choice for them is key. A satisfied and convinced shopper ultimately helps lead to a sales conversion.